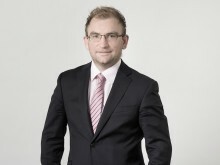 Ross Wenzel is a Partner in the sports law group of Kellerhals Carrard. His practice is exclusively dedicated to sports law, with a focus on doping and football-related disputes. He is one of the most active advocates before the Court of Arbitration for Sport (CAS) where he has successfully represented WADA, International Federations and National Anti-Doping Organisations and football clubs. He also advises a number of sports organisations with respect to their commercial programmes and governance issues.